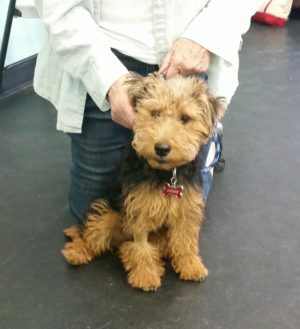 Marilyn, from Tempe, AZ came to us after she had gotten her Welsh Terrier pup, Lizzie. 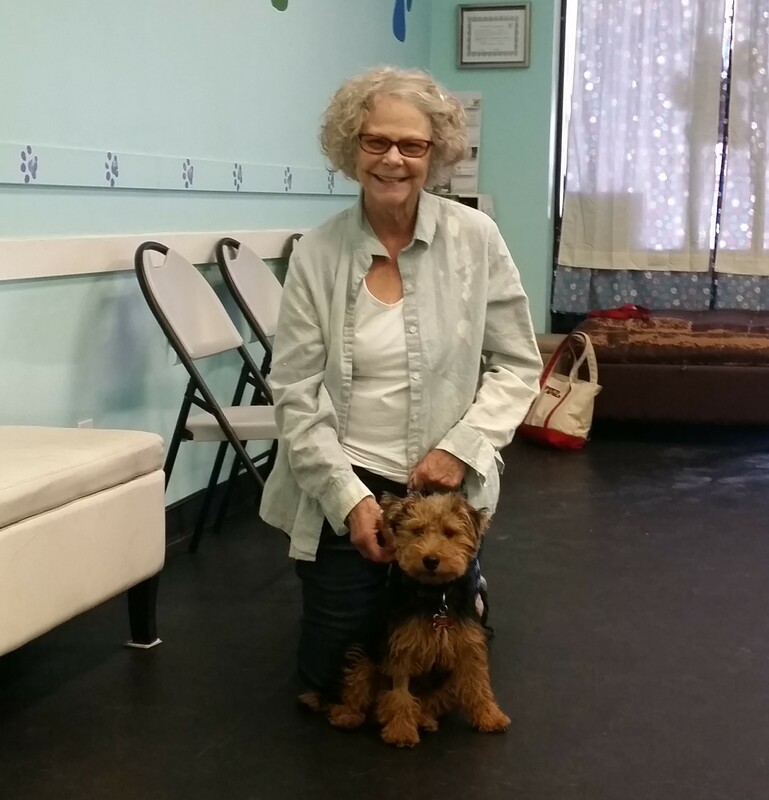 Marilyn had just recently moved and because she lived alone she thought it would be the perfect time to get a great companion. In Lizzie she found a vivacious, spunky and very energetic dog, who jumped like a pogo stick and barked at everything that moved. Maybe a little too energetic for the retired live she lives. So Marilyn wanted to learn how to enjoy Lizzie and fulfill them both, but also have a calm dog in the house when she was doing hobbies or enjoying a good book. Marilyn immediately signed up for our Unlimited Program. She realized it was the perfect solution to her training needs. She had the time to work with Lizzie every day, but needed the extra guidance to know what to do when things happened throughout the day. 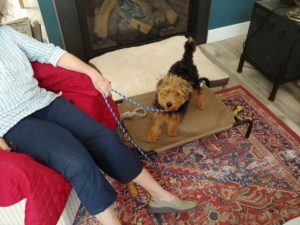 Marilyn and Lizzie learned all the commands that will help them throughout each day, including “come”, “down” and “place”. 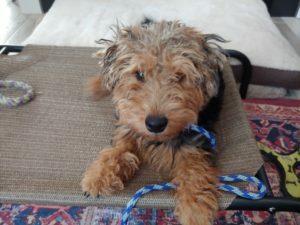 Lizzie also learned how to nicely walk on the leash and how to politely greet people both inside and outside the home. Lizzie also learned how to be more patient inside the home when Marilyn couldn’t give her all of her attention. Marilyn is now enjoying retirement with a great companion and friend who curbs the lonely nights and keeps her young. They look forward to the next 12-15 years together where their companionship will only grow stronger!